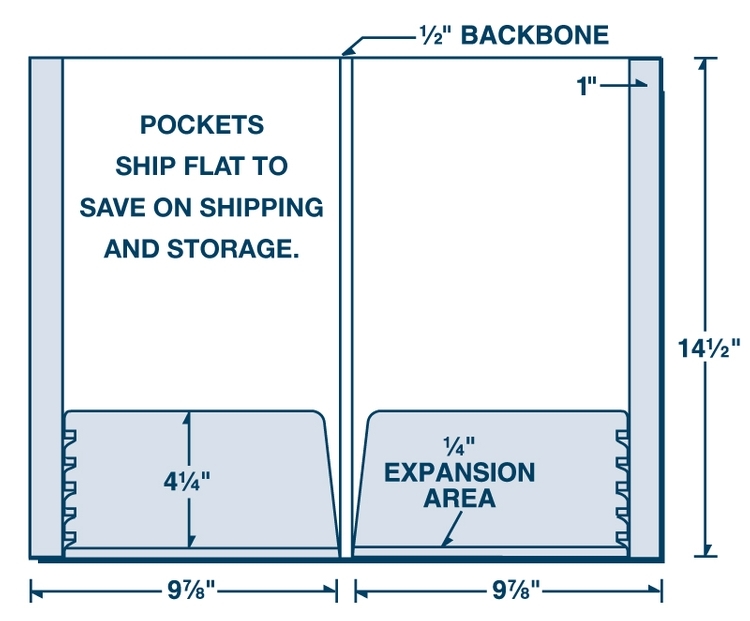 Legal size capacity presentation folder measures 9 7/8" x 14 1/2" with two 4 1/4" expandable pockets and reinforced edges. 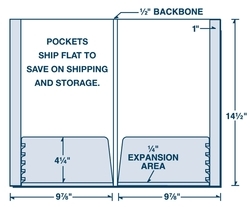 Each pocket expands to hold 1/4 ". 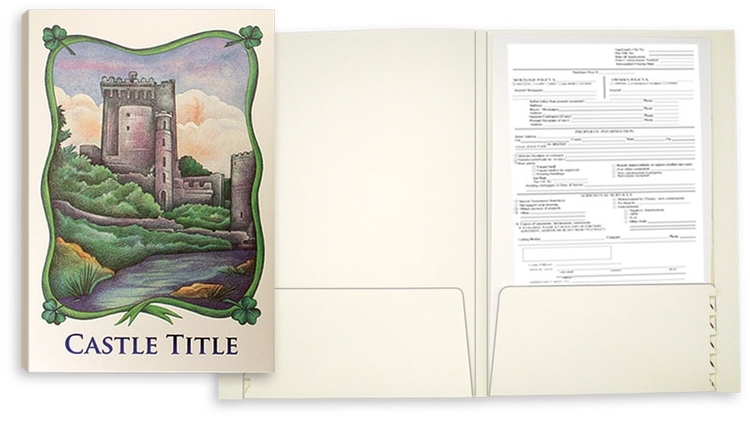 Variety of card slots and brochure slit available. Recycled & certified stocks available.